Dr. Dennett is board certified in internal medicine. He received a bachelor of arts degree in chemistry from Wesleyan University in Middletown, Connecticut and his medical degree from the University of Vermont School of Medicine. He completed his postgraduate training at the University of Colorado Affiliated Hospitals in Denver. 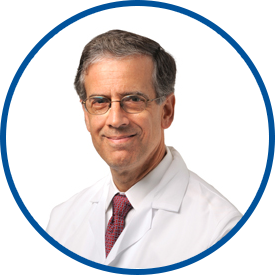 He has been in private practice in Yonkers since 1983, with an academic affiliation at Montefiore Medical Center in the Bronx. He is an assistant clinical professor at Albert Einstein School of Medicine. Dr. Dennett is affiliated with Montefiore Medical Center and Lawrence Hospital Center. He joined Westmed Medical Group in 2008. Dr. Dennett is excellent in every respect. I would like to say that Doctor Dennett has always been very helpful and concerned with my medical care. He has always gotten back to me with any questions that I have about my care even when I get in touch with him on a weekend or test results come in when he isn't in the office he has called me with the results. I would recommend him to anyone looking for a physician and I have many times in the past. Dr. Dennett is a great professional who really cares about his patients. I was very impressed that he took the time to understand my job and what my home life looks like to take into consideration his recommendations. Dr. Dennett is the best provider I've ever had. Dr. Dennett has consistently proven himself to be a thorough, caring and competent doctor. I feel confident knowing he is my primary care physician. Dr. Dennett is one of the best physicians I have ever gone to. He is concerned about his patients and puts their interests and medical care first. He never rushes with his treatment and always explains treatment options. He goes above and beyond what many others doctors do. *Dr. Dennett is wonderful, such a great doctor. I never feel rushed when visiting *Dr. Dennett. Very professional. The Dr. was respectful and helpful with regard to any concern I had regarding my health. Dr. Dennett is the most caring doctor. There is no doubt ever that he is the best. I am so thankful for this man.